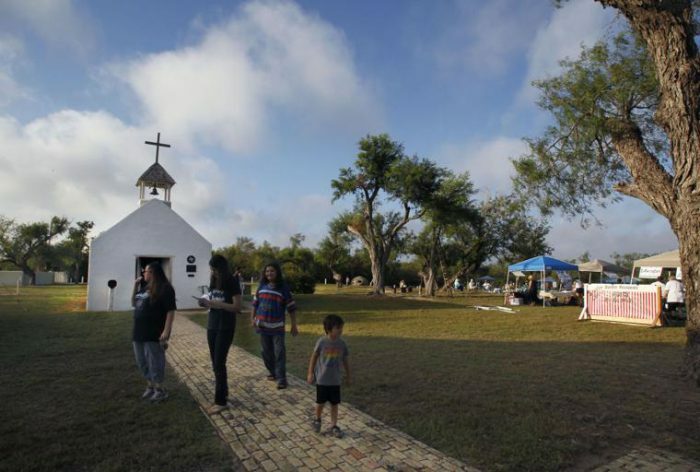 The Missionary Oblates of Mary Immaculate threw its support behind the Catholic Diocese of Brownsville and Bishop Daniel E. Flores against the federal government’s plan to build border fencing on land the church owns in Hidalgo County. La Lomita Chapel stands on land the federal government is seeking to take immediate possession of. The Oblate Fathers built La Lomita Chapel in 1865, according to the Texas State Historical Association.